Hyundai Motor America is recalling 16,487 model year 2013 Velosters equipped with 1.6 liter turbo engines. The engine management software may cause premature ignition (pre-ignition) of the air/fuel mixture in the engine. The resulting excessive cylinder pressure may damage the engine which can increase the risk of a fire or cause an engine stall, increasing the risk of a crash. Hyundai Motor America is recalling 120,000 model year 2011-2013 Tucsons. The engine oil pan may leak and, if not addressed, the loss of oil may result in engine damage. Hyundai Motor America is recalling 43,941 model year 2018 Hyundai Santa Fe and Santa Fe Sport vehicles. The steering wheel assembly may break, possibly resulting in the steering wheel separating from the steering column while the vehicle is being driven. Hyundai Motor America is recalling 580,058 model year 2011-2013 Sonatas and model year 2011-2012 Sonata Hybrids. In the event of a crash, the air bag control unit (ACU) may short circuit, preventing the front airbags, seat belt pretensioners, and side airbags from deploying. Hyundai Motor America is recalling 197 model year 2018 Santa Fe Sport vehicles. A coil spring fracture can puncture the tire, causing a loss of vehicle control and increasing the risk of a crash. The National Highway Traffic Safety Administration (NHTSA) is investigating airbag failures in the 2001 and 2002 Hyundai Elantra. More than 150,000 of the economy-priced Korean sedans are covered by the investigation. "The airbag system is susceptible to airbag light illumination and airbag non-deployment or inadvertent deployment from liquid contamination of the airbag control module," according to the NHTSA Web site. The safety agency reported two fatalities occurred in crashes involving the Elantra when the airbag warning light was illuminated. In a previous report earlier this year, NHTSA cited the results of the investigation of those deadly accidents. "Post inspection and analysis indicate the airbag light had illuminated prior to the crash on both vehicles," NHTSA said on its Web site. In the first accident, "the center console covering the airbag control module was removed. The module and the main connector were covered with a brown sticky substance, possibly spilled liquid since the cup holders are positioned above the control module," according to NHTSA. The NHTSA Web site reported that the "recovered fault codes indicate a prior short circuit condition that most likely would shut down the airbag control module," and prevent airbag deployment. In the second fatal crash, NHTSA was told the airbag warning light had come on several months prior to the accident. The safety agency and Hyundai have received 501 consumer complaints concerning the airbag system failures in the Elantra. The automaker has repaired the airbag system in 9,110 Elantra sedans under warranty claims, according to the NHTSA Web site. The safety agency stated that it is also aware of "6 incidents of seat belt pretensioner and airbag deployments due to liquid spills," in the Elantra. The owner of a 2002 Hyundai Elantra GLS in Hartford, New York reported a recent airbag warning light failure to ConsumerAfairs.Com. The dealer told the Elantra owner that the "airbag system will not function" because the airbag module was no longer working. The airbag repair cost, paid by the consumer, was $560. The Elantra is not the only Hyundai to experience an airbag failure according to a ConsumerAffairs.Com reader in Miami. "Both of my daughters were involved in a roll-over accident in their 2006 Hyundai Tucson, he said. "The impact caused the Tucson to roll-over several times. None of the airbags deployed in the accident," he told ConsumerAffairs.Com. "Thankfully, my daughters escaped with only minor injuries but I cannot believe not one airbag deployed given the severity of the accident," he said. The Hyundai dealer told his Miami customer that the airbag failure was "a safety measure to reduce further injury." A Canadian owner of a Hyundai Santa Fe also experienced an airbag warning light failure in his SUV. So far, the Hyundai dealer is unable to repair the warning light problem, he said. Hyundai customers relations "ordered a new harness for wiring," the owner said but there is "no improvement." The Canadian Hyundai owner is demanding the Korean automaker refund the money he paid for the Santa Fe and take the vehicle back. "This vehicle has been faulty since its delivery to me, he said. "After 5 attempts to fix the vehicle even the service manager is at wits end." NHTSA is also investigating Hyundai vehicles for catastrophic suspension failure. Federal safety investigators are examining consumer complaints of suspension failure, some at high rates of speed, in the 2001 model year Hyundai Santa Fe. Two consumers reported to NHTSA that their vehicle "nearly rolled over" following the suspension failure. The cause of the failures appears to be excessive corrosion in the vehicle suspension and federal safety investigators want to know if the Hyundai Santa Fe suspension rusts to the point of breaking. NHTSA has received allegations that the subframe on the Hyundai Sonata can rust to the point of causing suspension failure as well. The agency has received 40 consumer complaints about severe corrosion in the 1999 through 2002 model year Sonatas. Consumers have reported "fist-sized holes in the frame" that can cause the suspension control arm to detach from the vehicle, according to federal safety investigators. The result can be "wheel collapse or separation, half shaft detachment resulting in sudden vehicle disablement and or steering anomalies," according to the NHTSA Web site. 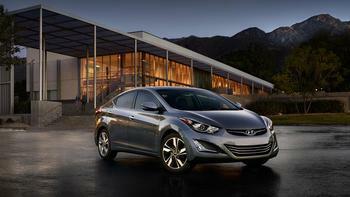 Hyundai Motor America is recalling 64,500 model year 2013 Elantras manufactured December 1, 2012, to April 30, 2013. The brake pedal stopper pad can deteriorate allowing the brake light switch plunger to remain extended when the brake pedal is released. If the brake light switch plunger does not retract as it should when the brake pedal is not being pressed, the brake lights may stay illuminated preventing accurate communication to following vehicles that the vehicle is slowing or stopping. Additionally, if the brake switch plunger is not retracted, then the transmission can be shifted out of PARK without depressing the brake pedal. Either condition increases the risk of a crash. Hyundai will notify owners, and dealers will replace the brake pedal stopper pad with an improved part, free of charge. The recall is expected to begin on September 30, 2016. Owners may contact Hyundai customer service at 1-855-371-9460. Hyundai's number for this recall is 146. Hyundai Motor America is recalling 1,201 model year 2018 Santa Fe Sport vehicles. The side curtain airbags on these vehicles have a component that may detach during deployment of the inflatable curtain air bag. The Hyundai Santa Fe is not without its peculiarities. Consumers complain of everything from the sunroof flying off to sudden suspension failure. This time around, it's failure of the right-front axle shaft that's drawing consumer complaints and regulators' attention. The National Highway Traffic Safety Administration (NHTSA) says it has opened a preliminary investigation into the problem, which was reported by two Santa Fe owners who had less than 5,000 miles on their SUVs at the time of the incidents. Besides the complaints from consumers, NHTSA said its review of information submitted by Hyundai found field report data connected to the alleged defect. The investigation could affect an estimated 50,000 Santa Fe SUVs. Last October, NHTSA began investigating a "complete loss of steering" in the Santa Fe, a problem apparently caused by a loose bolt. The agency said it received a complaint from a driver about the problem and Hyundai said it had received a similar complaint. At last word, that investigation was still underway. It's not unusual for preliminary investigations, which can eventually lead to a recall, to continue for months. More than 200,000 Santa Fes were recalled in July 2012 to fix an airbag problem. "Hyundai will, of course, take any actions necessary to ensure the safety of our customers if the information gathered during the investigation indicates that action is appropriate," a Hyundai spokesman said, according to Reuters. The flying sunroof was reported by Nicole of Columbia, SC. "I have an 07 Hyundai Santa Fe and the sunroof piece completly flew off the car on the highway," she said in a report to ConsumerAffairs last month. "[The] rim around the roof opening had water damage and rust." She said Hyundai was refusing to cover the problem since she had over 60,000 miles on the car when the incident happened. The safety problems don't seem to have much effect on sales of the popular South Korean brand. Hyundai said last week said it had sold 65,007 units, up two percent versus the same period in 2012 and up one percent the first six months of the year. Hyundai Motor Company is recalling 390,467 model year 2013-2014 Elantra sedans, coupes and GTs. The brake pedal stopper pad can deteriorate allowing the brake light switch plunger to remain extended when the brake pedal is released. This will allow the brake lights to remain illuminated continuously. It can also allow the shift lever to be moved without depressing the brake pedal, or activate the engine management brake pedal override feature. Some models of the Hyundai Sonata can rust so severely along the sub-frame that the front wheels collapse or separate from the vehicle, according to reports from the National Highway Traffic Safety Administration (NHTSA). NHTSA has elevated an initial evaluation of rusting in the Korean made economy car to an "engineering analysis." The analysis could eventually lead to the recall of 197,906 Sonatas to repair the rusting frames. The Hyundai Sonatas that are the focus of federal safety attention are the 1999 Sonata GLS, the 1999 Caribbean Sonata and the 1999 to 2004 Sonata. The Office of Defects Investigation (ODI) at NHTSA has received 84 complaints from consumers about sub-frame rust in the Sonata. The agency reported that "approximately on-third of the complaints to ODI allege that the sub-frame corrosion resulted in a loss of control and or a vehicle disablement due to wheel collapse or separation." There are two reports claiming Sonatas crashed because of the rusting sub-frame. In the first report, the lower front control arm of the Sonata broke away from the frame of the car while the Korean car was traveling at 55 mph. The driver, according to the report, lost control of the vehicle and the Sonata came to rest in the yard of a house. A second consumer claimed in a report to NHTSA, "that while driving around a slight curve at 65 mph on a freeway, the vehicle sub-frame fractured and the driver lost control of the vehicle and went off the road." No injuries were reported to the federal safety agency in either of the crashes. When NHTSA opened the initial inquiry of excessive rust on the Sonata sub-frame in April, the agency reported that some consumers had complained of "fist-sized holes in the frame" that could cause the suspension control arm to detach from the vehicle. The failure could result in "wheel collapse or separation, half shaft detachment resulting in sudden vehicle disablement and or steering anomalies," NHTSA reported on its Web site. The federal agency also received reports of corrosion in the engine cradle and front cross-member of the Hyundai Sonata. Most of the complaints arose in states where large amounts of salt are used on roads during snowy months, according to NHTSA. The "salt belt" states according to NHTSA are Connecticut, Delaware, Illinois, Indiana, Iowa, Maine, Maryland, Massachusetts, Michigan, Minnesota, Missouri, New Hampshire, New Jersey, New York, Ohio, Pennsylvania, Rhode Island, Vermont, West Virginia, Wisconsin and the District of Columbia. NHTSA said that "there appears to be an increasing trend in failures, with 10 reported so far in 2008, 19 in 2007, 11 in 2006 and 1 in 2005." One consumer told NHTSA that his Sonata was so badly rusted the vehicle was declared a total loss by the insurance company after the lower control arm separated from the vehicle "causing the half-shaft to detach from the transmission." A Maryland Sonata owner recently reported to ConsumerAffairs.Com that a Hyundai service technician noticed a softball-sized hole in the front right hand side of the sub-frame of their 2002 Hyundai Sonata GLS. "I am afraid to drive this car," the Hyundai owner said. Another consumer reported that the sub-frame on his Sonata is so badly rusted that the sub-frame needs to be replaced and the dealer will provide no assistance. In Fairfax, Virginia, a consumer told us that his 2000 Sonata fell apart with the "sudden collapse of the right front suspension system," while he was in a parking lot. 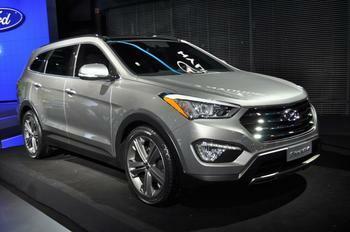 NHTSA is also investigating excessive rust and corrosion in the Hyundai Santa Fe. Federal safety investigators reported in July that they were examining consumer complaints of suspension failure, some at high rates of speed, in the 2001 model year Hyundai Santa Fe. The investigators want to know if the Santa Fe suspension rusts to the point of breaking. Three people have reported to NHTSA that they lost control of their Santa Fe while traveling at speeds of 55 mph or more. The safety agency investigation of the Santa Fe is still in the "preliminary evaluation" stage. At least one report to ConsumerAffairs.Com demonstrates the urgent need for the safety evaluation. A Michigan woman reported that her Santa Fe is "rusted so bad underneath that the frame dropped down and caused a tire to blow." When Rod of Spring Valley, Calif., bought a new 2013 Hyundai Accent the last thing he expected was rust. But like many other Hyundai owners, rust was what he got. "New 2013 Accent has 7,000 miles. Manufacturer defect caused internal passenger cabin damage -- rust was discovered on internal car frame," Rod said in a posting to ConsumerAffairs. He said it took 20 days for his new car to be fixed although he fears its structural integrity has been premanently damaged. Hyundai Motor America is recalling 86 model year 2018 Hyundai Elantra GTs. The panoramic sunroof motor may be incorrectly programmed, preventing the sunroof from detecting an obstacle while closing. Hyundai will notify owners, and dealers will inspect the panoramic sunroof, replacing it as necessary, free of charge. Hyundai Motor America is recalling 443,545 model year 2011-2014 Sonata and model year 2011-2015 Sonata Hybrid vehicles previously repaired under an earlier recall. The seat belt linkages for both front seat belts may detach from the seat belt anchor pretensioners.